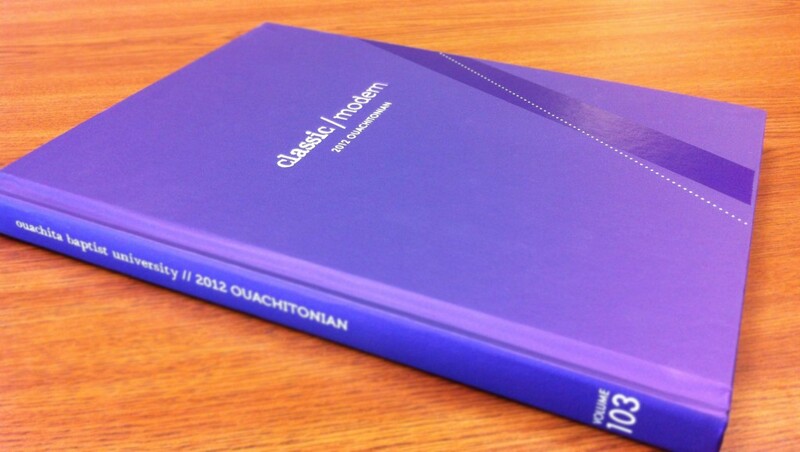 Ouachita Baptist University’s 2012 Ouachitonian yearbook has earned an Associated Collegiate Press (ACP) All-American rating. This is the second year in a row the Ouachitonian has received the All-American rating, which is the highest honor given by ACP. ACP rates each yearbook in five categories: concept/essentials, content, writing/editing, layout/design and photography. The Ouachitonian received Marks of Distinction in concepts/essentials, content, layout/design and photography. Marks of Distinction are a way of measuring personality, liveliness, imagination, appeal and creativity in all five categories. “As soon as I saw your cover, I knew I was in for a delightful time,” said Kel Lemons, the ACP judge for the Ouachitonian. “It’s really amazing that only 10 students put it together, a true testament to their dedication and effort. “There is always pressure to make the best book possible, but we knew the degree of excellence would have to be up a notch from years past,” said Mauri Sparks, assistant editor of the 2012 yearbook and editor of the 2013 Ouachitonian. Sparks is a junior mass communications and Christian studies major from Queen City, Texas. “We wanted to make sure this huge milestone was reflected in our book, so we did the mini magazine,” an insert focusing on the university’s 125th anniversary. “Tanner Huffman did a wonderful job of blending the classic and the modern throughout the book, from the cover and theme copy to the division pages and closing, and of course through the mini magazine,” said Dr. Deborah Root, chair of the Rogers Department of Communications and yearbook adviser. For more information about the Ouachitonian, contact Dr. Deborah Root at (870) 245-5510 or rootd@obu.edu<mailto:rootd@obu.edu>.